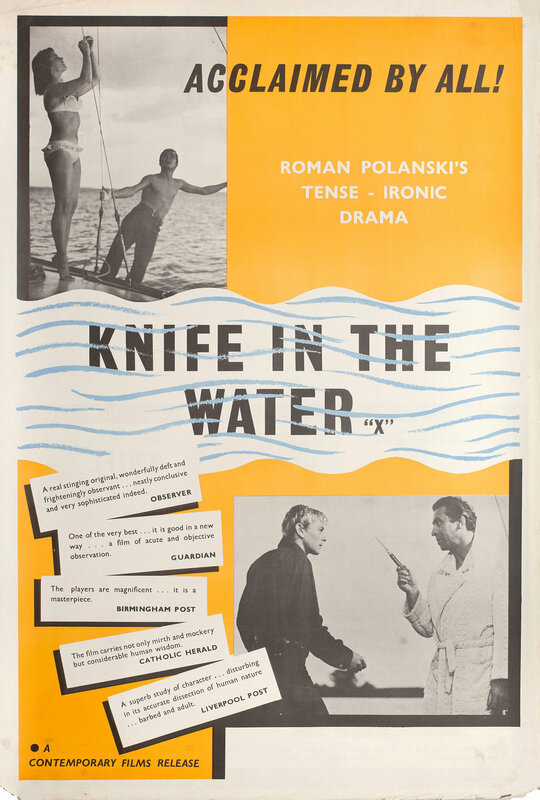 I wanted to watch Knife in the Water (1962) for my Blindspot series as it was the first film that Roman Polanski ever directed. Rosemary’s Baby (1968) is one of my favourite films of all time, and so I was also interested to see how his style as a director might have evolved over time. What’s also interesting is that this film was the nation of Poland’s very first Oscar nominee, being nominated for an Academy Award for Best Foreign Language Film in 1962. What I found with Knife in the Water is that it’s a masterful exercise in how to portray escalated tension over time on film. Polanski shows his extremely masterful skills as a director from this very first outing. The story itself is minimal – only three actors, stuck on a boat together in a sick power play between an older, professional and cultured man, and a younger hitchhiker who displays his ignorance towards culture and sailing. And the wife, Krystyna, is stuck in the middle of this masculinity competition, finding herself strangely attracted to the hitchhiker. It’s simple, but this simplicity enhances the story and allows the tension to shine through, which results in quite the uncomfortable and awkward viewing experience, which almost feels dangerous to an outsider looking in. I was surprised to see that Polanski played quite a bit with some experimental moments in his first film. There’s a moment on the boat where the hitchhiker is looking through one eye at his finger and changing the perspective by blinking his eyes – it’s difficult to explain, but on camera, it’s a somewhat cute moment and a light-hearted break from all the toxic power dynamics on display. Polanski also plays with some religious imagery which doesn’t quite fit with the themes of the film but was visually beautiful. The cinematography by Jerzy Lipman makes beautiful use of the boat and surrounding water, but also enhances the enclosed nature of being isolated on a boat in the middle of water; making us as viewers feeling claustrophobic and shut in, even though the boat exists in an open space. This only adds to the sense of stuckness and tension between the characters. There’s a blisteringly cool jazz soundtrack composed by Krzysztof Komeda, who also worked with Polanski on such films as Cul-de-sac (1966), The Fearless Vampire Killers (1967), and Rosemary’s Baby (1968). It is notable that Knife in the Water is very well acted by all of the three actors. However, Jolanta Umecka who plays Krystyna, and Zygmunt Malanowicz who plays the hitchhiker, both had basically no professional acting experience prior to this film. Jolanta Umecka absolutely shines as Krystyna. We first see her as a young woman who appears quite uptight and frumpy, driving the car with her husband, hair tightly put up, wearing a modest shirt and librarian glasses. When Krystyna is on the boat and caught between her husband and the hitchhiker, she becomes a siren; almost sensuous when stretching out on the boat in her bikini, embracing the wind and water in her hair as the boat sails across the lake. On the water stuck between two men, her performance is passionate, active, and alive; on land with her husband, she is restrained and polished. Even though I really liked this film, it has its shortfalls. Even though the location on the boat makes for a claustrophobic and intense environment which enhances the story and relationships, it does get a bit montonous over time. The performances and direction are highlights in their own regard, and even if the story did become a bit slow, the way this film made me feel a palpable sense of psychological danger and tension was enthralling. 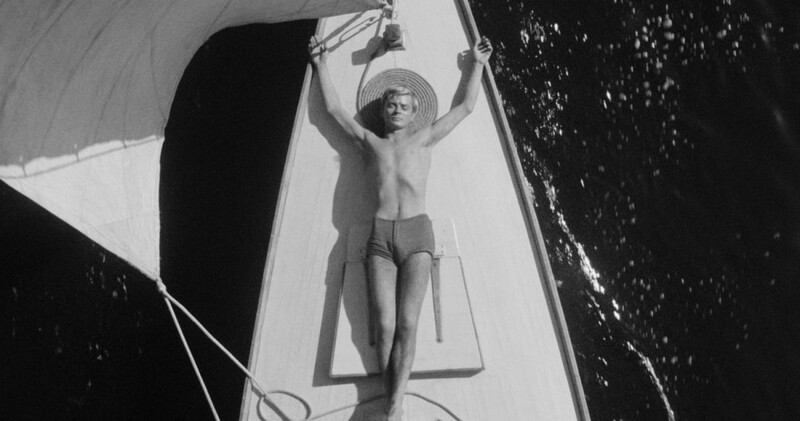 Knife in the Water was well worth a watch based on my interest in Polanski’s films and wishing to see his earlier work. This also works on a double bill with Dead Calm (1989) by the way. I remember liking that film! Total throwback. I haven’t heard of this, but like the previous reader commented, I quickly thought of Dead Calm. Great review. Thanks Wendell! Yeah, I hadn’t thought of Dead Calm at all whilst watching this, but upon reflection it totally fits!